Air Canada Vacations is showing some cheap 7-night all inclusive packages from Calgary to Huatulco, Mexico for $559 to $599 per person including taxes. It's pretty common for a non-stop flight alone from Calgary to Huatulco to cost at least $500. It's generally one of the more expensive non-stop flights to Mexico. None of the hotels look amazing, but they get decent reviews on Tripadvisor. 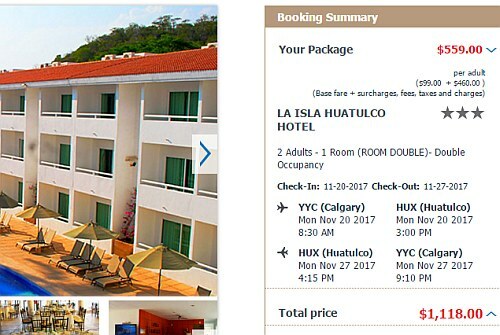 La Isla Huatulco Hotel - $559 including taxes. 4 circles on Tripadvisor. Park Royal Hotel - $599 including taxes. 4 circles on Tripadvisor. Highest ranking of the 3 (#9 in Huatulco). 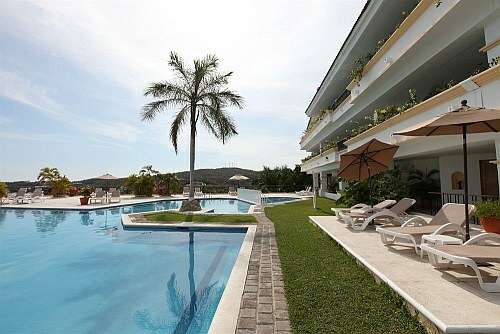 Hotel Castillo Huatulco - $599 including taxes. 4 circles on Tripadvisor. - You can also find the Park Royal Huatulco for $634/person using the same departure date.